Hi everyone, this is the first article of my “advanced’ series on Adult Ballet Diaries. I’m not professing to be an pro dancer, but I am spending some time studying with professionals about how to get there. These notes are also the result of my personal observations. I thought since adult dancers may not have access to these information, that I’ll share it here. Feel free to disagree! – Seira. One of the main things I’m working in order to become a more advanced dancer is to try to instill the habit of lifting and engaging the pelvis. How to lift the pelvis? First of all, place your pelvis into a neutral position. Align your pelvis to neutral position. Lift but do not tuck. Then imagine pulling/lifting your hipbones up and try to insert them into your armpits. Of course, anatomically speaking this is impossible, but the right feeling of pull or lift is what we want to get. 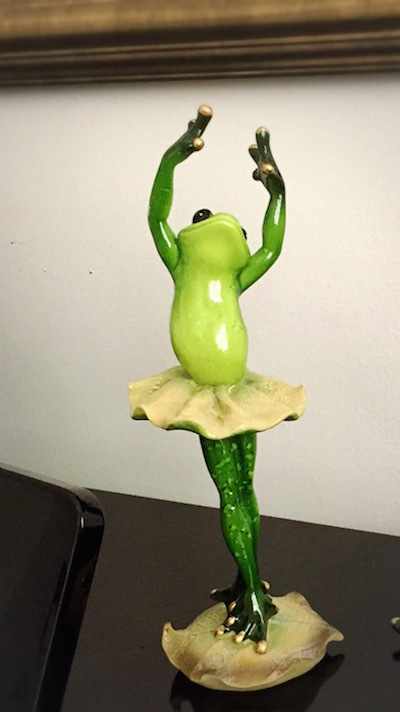 This little ballerina froggy shows us how she lifts her pelvis, so her tummy is “up” and above it. 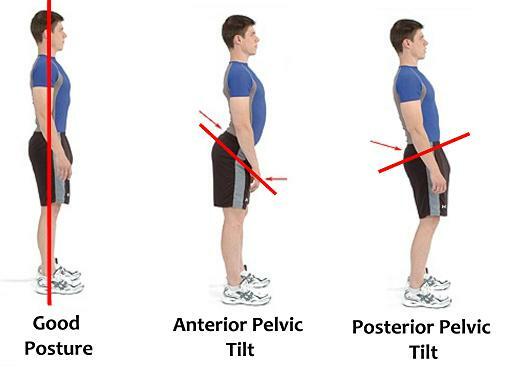 When I’m doing demi-plies and ‘going down’, I’m still lifting my pelvis as I do so. Especially in fondu devant and derriere. I need to lift and not release the pelvis to create a “crocodile’s mouth” like this shape “<” . I need to keep the pencil test in my mind. This gives a better and more engaged look. My lines will look longer. The ideal situation is that I will lift my pelvis unconsciously. I realize I’m fighting personal habits as I tend to sink in and slightly slouch as I’m sitting , walking, and generally moving when I’m out of the studio. I’ve been working on this for months and it has gotten better but I’m not there yet. The first stage is knowledge. The 4th stage is to get the strength to maintain it in ‘stillness’ and then in movement. The 5th stage is being aware of the lags in your training. This refers to the areas where you tend to release the pelvis (and not lift it). The 6th stage is to keep practicing until your body is strong enough, well aware and becomes a habit. I’m not quite there yet, but I am working on it!